Special offer available! Click here for more details. Villa Benedicte is a wonderful place to stay for a relaxing holiday. This detached villa is set in its own walled grounds. The main villa entrance is through double gates off a private road and allows room to park your car within the grounds. Whilst the villa interior is superb, a favourite place has to be the terrace where you will probably spend most of your time soaking up the view. The terrace is accessed via patio doors from either the lounge, the dining room or the kitchen. This raised terrace is partly shaded and has a built-in barbecue and outdoor dining facilities as well as a comfortable sitting area for relaxing with a drink. This is the place to enjoy glorious sunrises with breakfast, views of the harbour and the sea throughout the day and then all the lights across the old town at night. The lower terrace has an area for sunbathing, the private pool and another built-in seating area. Around the back of the villa is an area of garden, another built-in seat and the side gate, which gives access directly to the steps which go down towards the coast and then the boardwalk for your 8-10 minute stroll to the harbour. In reality, it will take longer than that as you won't be able to resist stopping and looking at the view! There is no need for a car staying at Benedicte as the supermarket and a very good restaurant are only about a 3 minute walk away. 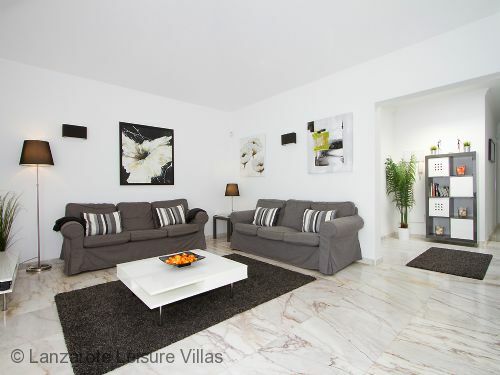 The villa interior is all on one level and is bright and modern whilst still maintaining a comfortable feel. A large bright hall way leads to the lounge, which has a large wall-mounted flat screen TV with many Sky channels. There is free WiFi and comfortable sofas and chairs enhanced by subtle lighting. There is a separate dining room and a newly fitted beautiful kitchen. There are three bedrooms all with air con available (coin operated by clients, but very economical to use). There is a large double bedroom with King size bed and with dressing area and en suite shower room. Two twin bedrooms then share a full bathroom. There is also a cloakroom with toilet and basin. There is a free cot and high chair in the villa. We have been renting out Benedicte on behalf of it's owners since 2004. Our many regular clients are testimony to what a special villa this is. Spacious enough for a large group but also perfect for a couple. 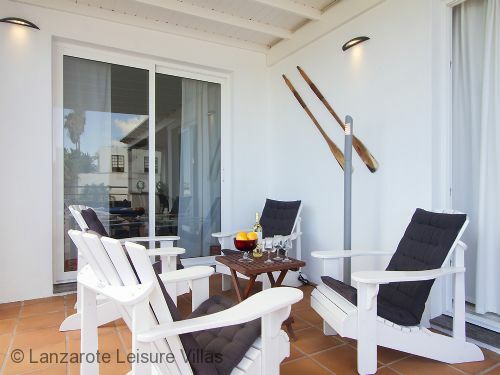 Relax and enjoy one of our most popular Lanzarote villas. 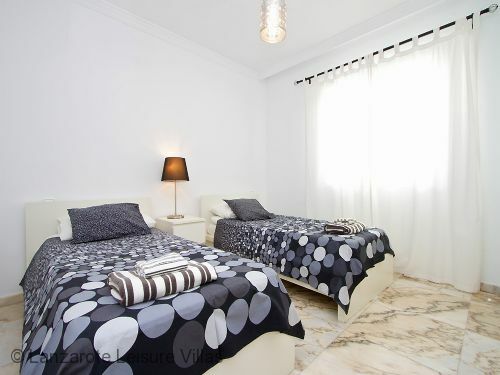 Great villa, clean, smart and well equipped. Check in process worked really well and everything we needed was in place. The villa was exceptionally clean and well laid out. We met Emma on the 2nd day and she answered our questions and told us about the area and places to go and visit. The location was great, a short walk down to the harbour and plenty of restaurants and bars to choose from. The villa has a good view over the harbour and a great patio area with plenty of different seating and sun all day.. The pool was clean and well maintained and warm - we swum every day.. I do not have any hesitation in recommending villa benedicte to any one of all ages.. Excellent villa with everything you could need for a great holiday. Short walk to the Old Town harbour area with restaurants, shops, boat excursions and diving schools; steps and hills involved but not too bad. Local amenities just around corner but still a peaceful location. Only 10 minutes from airport with transfers favourably priced. Location of Villa Benedicte give access to cliff top walks or walks around the resort resulting in good choice of things to do without the need to hire car. Excellent villa with everything you could need for a great holiday. Short walk to the Old Town harbour area with restaurants, shops, boat excursions and diving schools; steps and hills involved but not too bad. Local amenities just around corner but still a peaceful location. Only 10 minutes from airport with transfers favourably priced. Location of Villa Benedicte gives access to cliff top walks or walks around the resort resulting in good choice of things to do without the need to hire car. Thank you for yet another wonderful stay in Villa Benedicte. Everything was fine, and it was very good to have the bigger sized pool We love the location and the outdoor area of the house. Apologies for not emailing sooner busy with work Unfortuanlty!! I would just like to thank you all at Lanzarote leisure’s for a fantastic holiday that we have just had. Our first week we had family stay with us and it was great that two could do a week and the other two a few days really appreciate that we were able to do this. Your management team in Lanzarote are so helpful and cheery at all times, Erica is so good nothing is any trouble for her she even arranged a taxi for us to the airport, pool man is lovely chatted to us and explained what he was doing etc, villa is spotless with plenty of towels for a changeover midweek every amenities you could think of we had. Villa Benedicte was just as we remembered but obviously updated, it is spacious and would recommend to anyone as at one stage there was 6 adults there and we were never under each others foot. What we do like also is that you are so close by to everything you could possibly need. We now can not wait until December where we will be back again for 2 weeks, much quieter this time just the two of !! The only downside we had was that we didn’t do three weeks. Fantastic villa in an ideal location. Spectacular views and very well appointed. We spent a week there in February and enjoyed it so much we booked it again for October. Simple booking procedure and very helpful local assistant. We also used the transfer service as recommended and could not fault it. Lovely warm pool and very useful supermarket next door. What more do you need. We had a marvellous stay at Villa Benedict! The pool was well maintained and warm (28°C), we ejoyed the large terrace with sea views, the BBQ and of course the island. We particularly liked the location of the villa, a bit more quiet, but still very close to all amenities. Would definitely recommend! I visited Villa Benedicte with my family and was very impressed by the facilities and great location just a short stroll to the many local shops and bars in the area. 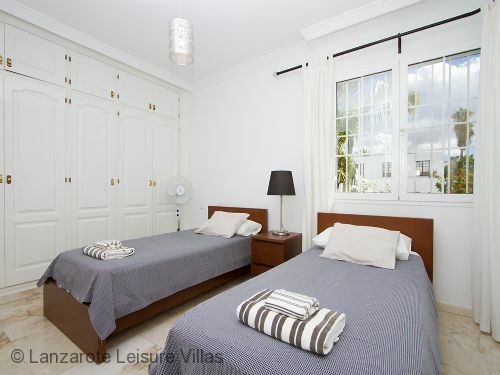 The villa is superbly equipped with everything you could need for a relaxing holiday. My family and I enjoyed using the terraces and the heated pool even in November and its a great base from which to tour all of Lanzarote's many interesting features. I would recommend this villa and would choose again on a future trip to the island. "Fabulous Holiday at Villa Benedicte"
We have just returned from a 2 week stay at Villa Benedicte (4 adults, 2 teenagers). 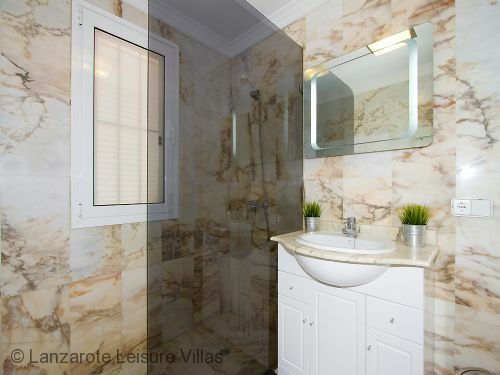 The Villa is exceptional, very clean and modern and very well equipped. The pool is lovely and well maintained. Outdoor dining area was used everyday and was a welcomed shaded area. There is also a lovely comfortable outdoor lounge area, where we spent many an evening enjoying an evening drink. The location is excellent, well stocked Spar supermarket 2 mins walk away, there is also a lovely restaurant called Marios which we used a couple of lunchtimes and evenings. Lovely 10 min walk to the harbour, where there is a good choice of restaurants and bars. The centre of Peurto Del Carmen is a 5 min taxi ride away. Our villa manager was very helpful and popped in a couple of times. Overall a fantastic holiday and we look forward to returning. 'I cannot express enough how impressed we we with this villa! We were instantly overwhelmed by the amazing views of the harbour from outside of the villa and the modernity of the decor inside. The pictures certainly do not do it justice, particularly the size of the pool which turned out to be much bigger than we had expected! As a group of friends wanting a chilled out break in the sun we definitely chose the right place. Everything we needed was just on our doorstep including a supermarket a 2 minute walk away and a few bars and restaurants with endless entertainment. The walk down to the harbour and more bars and restaurants was also only a short walk away which we did most evenings. I would also like to mention the staff who were outstanding; from being greeted on our first day to a visit on our last to make sure that everything was running smoothly, we honestly felt like nothing was too much trouble. 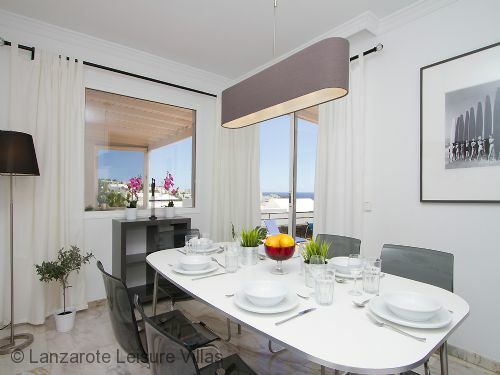 Without a doubt, both myself and all of my friends will be sure to recommend this villa as well as Lanzarote Leisure Villas as a company to our family and friends. Thank you for helping us have the amazing holiday that we had been dreaming about and saving up for all year. 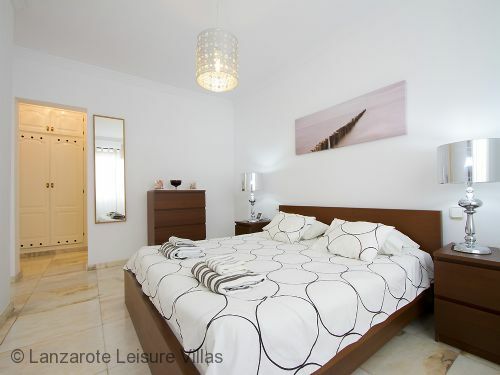 We have again had a great holiday in Lanzarote staying in two Lanzarote Leisure Villa's. My wife and I and our oldest daughter, husband and children were in Loretta, this was about our fourth time in this villa and our youngest daughter, husband and five children were next door in Benedicte, we have also stayed in that villa and three others over the years, all booked through Lanzarote Leisure Villa's. For the last ten years we have used these villas and always found them first class. The service we have received prior to travelling and also in Lanzarote have been superb. It is not only with the family we have been there celebrating special occasions but also with other couples who we have known well. We eat out all the time in the evening and there is a great selection of restaurants all easily accessible on foot. Three are within a few hundred yards the other down at the port or on the strip. There are steps down to the front so maybe not ideal for folk with walking difficulties although there are plenty of taxi's. We like a stroll in the evening. 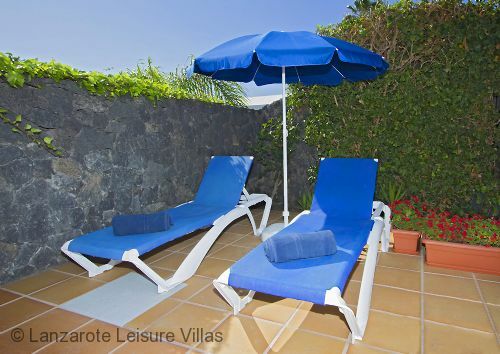 I would certainly recommend using Lanzarote Leisure Villa's. We did indeed have a wonderful time staying at the Benedicte to celebrate my 60th birthday with my family. The villa was beautiful - a very modern interior, tastefully decorated and furnished and extremely well equipped particularly in the kitchen. There was plenty of crockery, cutlery cups and glasses as well as all the utensils needed to cook a 3 course meal. The washing machine and dishwasher were also very welcome. The swimming pool was very well used as were the outside eating and seating areas. The villa has amazing views of the harbour and although situated in a quieter area of Puerta del Carmen is still very close to a number of restaurants and bars and 2 supermarkets. I would definitely have no hesitation in staying at Benedicte again and would absolutely recommend it. Beautiful villa everything you need. Excellent views of the harbour great location would highly recommend. "Exceptional property. Of very high standard." As soon as my party entered the property,we were very impressed with the whole villa.Everything was of a very high standard and immaculate.The view of the harbour was stunning.Shops and resteraunt s were literally two Minuit walk away. Your rep.came round to make sure we had every thing we needed and was very pleasant.We will defiantly be booking to go back to Villa Benedicte.This made my 65th.birthday special.Thank you. "Overall it was one of the nicest villas that we have stayed in – anywhere...."
We thoroughly enjoyed our stay at Villa Benedicte and found the house very well presented, very well equipped and very comfortably furnished. The four wooden/cushioned seating chairs on the terrance are amazing! The location is very convenient for local shops and restaurants in the old town harbour area – the local Spar and English Butchers being just a couple of minutes walk, were frequented regularly by us during our stay. Our weather was great, sunny and warm – so we did not need to use the coin operated air con/heating, just the odd evening when we put the little radiator in the living area on for some background heat. Just a minor point to watch out for - The BBQ – ideally located by the kitchen, but not much in the way of BBQ tools and the grate does not support unburnt charcoal very well (it falls through easily) + the grill above has nothing to support it – so overall using the BBQ is not easy. We reported this to the agents so guess it may now have been resolved. Reps called at beginning and end of our stay and were friendly and helpful - Overall it was one of the nicest villas that we have stayed in – anywhere – and we would love to return again soon! As has been said in previous reviews, this villa is absolutely ideal and safe for families with children. We were 3 generations totalling 6 and there was so much space. The villa was so well laid out, from the separate dining room, modern kitchen and large tv (to facilitate with the large lounge) and very comfortable seating inside and out. The area was lovely and so quiet with all necessary facilities from supermarket to eating places. We went for a walk down to the harbour every morning with a 6 month old baby - she slept through it but we enjoyed the magical walk followed by breakfast in the harbour area. Sue and Andrea arranged transport from the airport in a minibus which was perfect and such a help, as well as organising a hire car to be delivered to the door. What more could we ask! Just lovely. "Fantastic location, facilities & decor"
Villa Benedicte far exceeded our expectations. We are a family of 5 who loved the location, the views, the facilities and the décor. It really did have the wow factor and we expect to return again. Booking service was fast and simple. The accommodation was of an extremely high standard. Very clean and comfortable. The style was of fresh and modern. The outside space is large with all day sun. The is a clear view of the port and the ocean. We would re-book this accommodation. A big thank you to Sue and her team for looking after us at Villa Benedicte. It was our second stay here and was every bit as good as the first. The villa is in an excellent position a car is not really needed, it is spacious very clean well equipped and the water in the pool was like stepping into a hot bath. 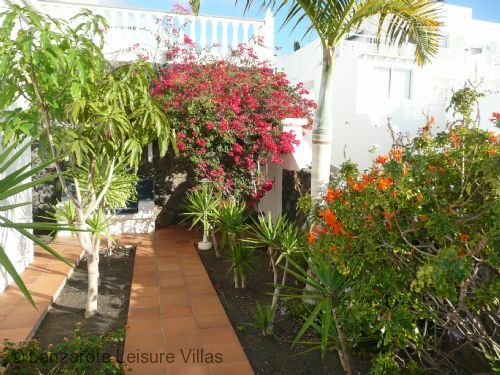 We have stayed in this wonderful villa in the Old Town of Puerto Del Carmen, several times before, but this time WOW a complete refit, including brand new kitchen, freshly decorated, great style. 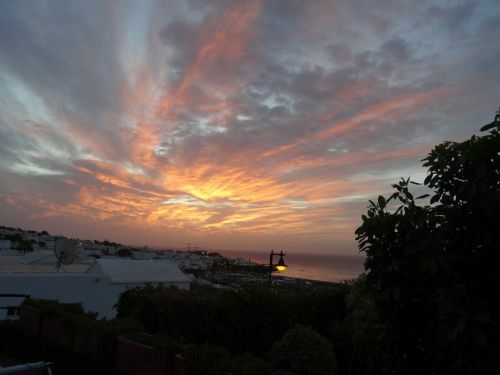 This was the icing on the cake, this location has fabulous view over the harbour in the Old Town of Puerto Del Carmen and in my opinion situated in the nicest part of the resort, smart, stylish and quiet, just right for a relaxing holiday. There are bars and restaurants and supermarket in close proximity (2 mins) and about 10 mins walk to the harbour and Old Town along the boardwalk. Enjoy its is a great place to stay. A perfect villa for families with children! We, my husband and two children of 7 and 9 years, had a three weeks stay in Villa Benedicte this summer - and we will definitely come back! The kids loved the swimming pool, and they spent several hours of the day there. We were taken good care of by the property manager, she came around and fixed every wish we had. The location of the villa is good, it takes 10 minutes to walk down to the harbour, another five to the small beach and yet another five minutes to get to the Playa Grande. We spent some evenings in the harbour, at different restaurants - and many evenings in the house, bringing back dinner from Marios ( an excellent restaurant two minutes away). I do believe this is one of the best villas in that area, the outdoor area is the best, shelter for the wind ( and the sun if you like) and wiew to the sea and the harbour. We chose Villa Benedicte for a group of 5 friends to meet up for a school reunion (some of us hadn't seen each other for many years) & found it to be spacious, well-equipped, clean & comfortable. The on-site management were very helpful and welcoming. Bars, restaurants & shops are in walking distance so you don't really need a car unless you want to explore the island. Lovely sea and harbour views from the terrace. Very happy with Villa Benedicte. We spent three weeks in this villa and it is one of the best we have stayed in. Close to the harbour and supermarket and has good local bars and restuarants. 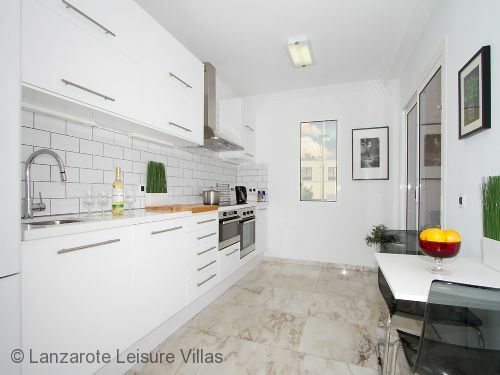 The villa is excellent ,very clean and the kitchen has everything you need. The master bedroom has a great bed and the villa has lots of space so you would not be cramped if there was 6 people sharing. Outside the pool was like going into a hot bath and plenty of outdoor seating and lovely view of the harbour. Erica looked after us very well and when we were there they installed more English tv channels which is great if you are a tv addict. 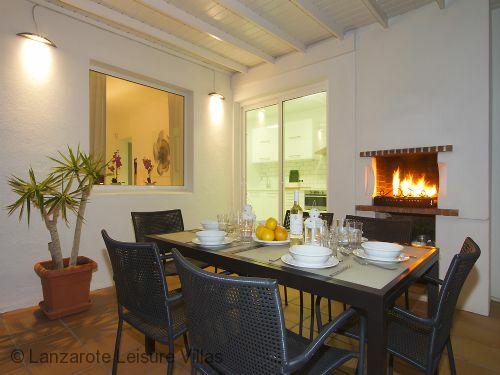 Will be booking this villa on our next trip to Lanzarote. 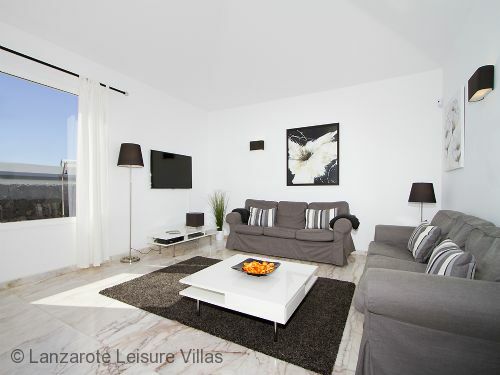 This villa is beautiful, spacious, modern, ideal, it has everything you would need. My wife, her Dad and I had a lovely holiday and would highly recommend this villa. "Wonderful sea view with The very best service"
path, and very private. It is furnished to a very high standard, including wi-fi which we find essential, and the iPhone docking station is a plus. The kitchen is very well equipped, and the sea view from the kitchen terrace when having breakfast is just wonderful. Very short walk away from the local restaurants /supermarket, so all perfect. Location is fantastic for the coastal walks. 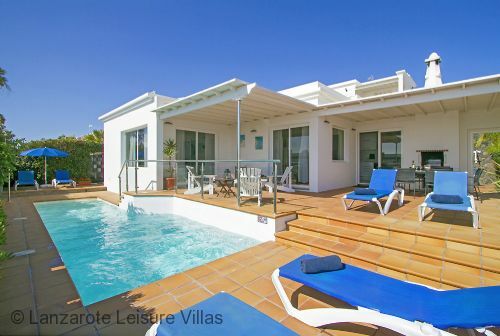 This is the first time we have booked with Lanzarote Leisure Villas, and we are very impressed, excellent service from Sue and Andrea. Only negative is that the Welcome Pack could be improved, in our opinion. A big thank you to Sue and her team for looking after us at Villa Benedicte. It was our second stay here and was every bit as good as the first.The villa is in an excellent position a car is not really needed ,it is spacious very clean well equiped and the water in the pool was like stepping into a hot bath.Already thinking of going back in 2014.If your looking for accomadation in a peaceful location to chill and is only a 10 minute walk to the harbour look no further you will not be dissapointed. We truly enjoyed our stay at the Villa Benedicte. My husband and I travelled to Lanzarote to race in the Ironman in May, so having a good home base is key for us. It was wonderful to work with Sue leading up to our arrival, and she arranged a personal shuttle pick-up and drop-off for us as well. Everything went very smoothly and the Villa was even more lovely than in the photo's. Everything was top-notch and the kitchen was fully equipped to great standards. I highly recommend this property, and was impressed with Sue's prompt attention to our questions and needs. Stayed here Easter 2012. Villa gorgeous. Extremely clean with lovely views of the marina. All correspondence with Sue from the Management company was met with a "nothing too much trouble" attitude, which ensured our holiday was perfect. Thanks Sue and your great team. Having just returned from a 10 day stay in Villa Benedicte, we would highly recommend this villa to prospective clients. Having decided on a luxury villa for only two of us, we found the villa to be even better than anticipated. Extremely spacious, - would easily accomodate a family very comfortably - very well equiped and in a perfect location for access to everything that you could possibly need or want for a truly relaxing holiday. 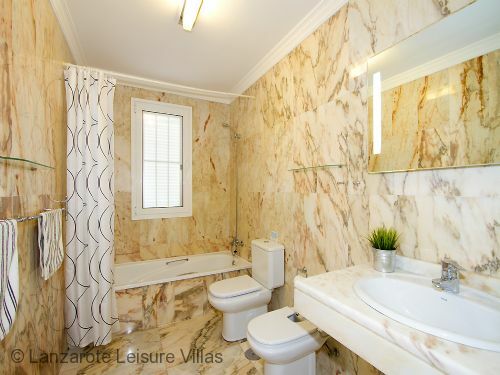 The villa was very clean and when we did request information or assistance relating to the villa, the reponse was immediate and professional. Booking was easy as we dealt directly with Sue and this included pre-booking airport transfers which we would definitely recommend having experienced the alternative in previous years of arriving very late in pitch dark and then trying to direct a taxi driver to a villa that we have never visited. The arranged transfer was seamless and meant that we were in the villa within an hour of landing. Sue happened to be on the island when we were there and this gave us the opportunity to view another stunning villa that she also has available for rental. Sue was extremely professional, knows the island very well and was very genuinely interested to hear our feedback and our overall experience of staying in Villa Benedicte. 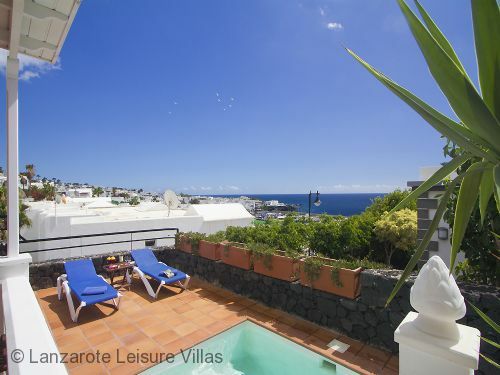 Following our fifth and best experience of renting on this beautiful island, we will definitely be booking via Lanzarote Leisure Villas for next year - with hopefully - work permitting - a short winter break in between !! P.S. At the risk of stating the obvious ... the food , rioja and of course the weather ... were all stunning. As always! Just to thank you for being so flexible and understanding when our flight was cancelled in January. It was so reassuring to know that the accommodation side of things was organised. Having holidayed with you now for over 6 consecutive years it certainly makes us realise how important it is to deal with such a professional and loyal company. We look forward to many more holidays with you. This is a quiet part of town yet very close to amenities. Supermarket: 2 minute walk (140m) to a Spar. Also a 22 minute walk (1.6km) east to Lidl at No. 1, Calle Juan Carlos I. A large well-stocked supermarket with a great meat counter for your BBQ. When paying just ask a staff member to call a taxi for you and they will happily do so. Local restaurants/ bars: 1 minute walk (80m). Biosfera Shopping Plaza: 13-15 minute walk (950m) to No. 15, Calle Juan Carlos I. Four floors of shops, restaurants and amusements including Starlight Open Air cinema playing 2 English movies each evening, a billiard and pool hall, crazy golf, and Cine6D virtual reality motion rides. Harbour: to the marina board-walk 4-5 minute walk (300m) down the steps or a 6-7 minute walk (400m) down the walk-way, which is ideal for prams/buggies or wheelchairs. There are a wide choice of restaurants and bars in the harbour area (10 minute walk, 600m). Great for lunch, dinner or a drink while an adventure playground keeps the children amused. Lots of choice of boat trips from the harbour including trips on a submarine, scuba diving and the Water Taxi to the marina at Puerto Calero. Beaches: Playa Chica, a 17-18 minute walk (1.2km) is a pretty little cove surrounding by volcanic rocks, which is perfect for snorkelling and diving (a dive school is located here). Other sports enjoyed at Playa Chica are parascending, banana boat rides, single and double jet-skiing, Crazy UFO and Fly-boarding. The main beach, Playa Grande, a 20-22 minute walk (1.6km) is a long stretch of fine grain sand with calm waters, a very gentle shelf and little current so paddling and swimming are very safe. Main Beach Road: 16-18 minute walk (1.3km) to the western end of Avenida de las Playas, the long 'strip' of restaurants, cafes, bars and shops of the greatest variety that runs parallel to Playa Grande. Beach-side, the palm-tree lined promenade is perfect for strolling, jogging, cycling on the red brick cycling lane (many bicycle renting places available), or just people watching. Don’t forget taxi fares are inexpensive in Lanzarote if you don’t want to walk home. Zoo: Rancho Texas Lanzarote Park, a 5 minute drive (5km) has displays of birds of prey, sea lions, and parrots and cockatoos and you can also see exotic birds and reptiles, including the Komodo dragon. Also a cowboy lasso and whip show, and the children can enjoy canoeing and gold-panning, pony riding, and then cool off in the pool. Lanzarote Golf: a public 18-hole course - 8 minute drive (4.8km). 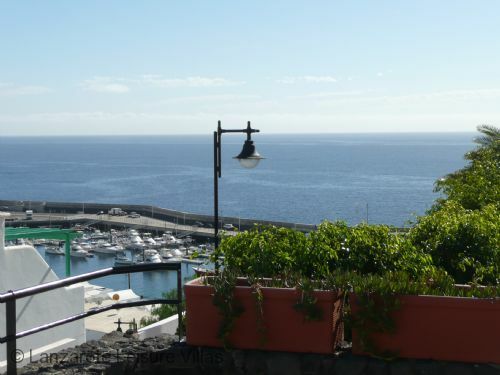 Puerto Calero: 50 minute walk (4km) go west along the coastal walkway and you will reach the marina at Puerto Calero, where there are lovely restaurants and gorgeous shopping. This walk is very popular with our clients. There is also a water taxi from the Old Town harbour if you don’t fancy the walk either one way or both ways. The restaurants in Puerto Calero are perfect for a long lazy lunch. The Water Taxi back costs 6 Euros and the last one leaves about 5pm. Gran Karting: a go-karting club 15 minutes drive north-east (13km). Aqualava Water Park: a geothermally-heated water park 30 minutes drive south-west (25km). Timanfaya National Park: the natural wonder of Lanzarote has a unique 'Martian' landscape and rare plant species. To the El Diablo restaurant, a 30 minute drive (22km). A unique experience is it to take a camel ride across the volanic landscape (20 minute drive 17km). Markets: every Friday 10am - 4pm 100 stalls set up at the Plaza Varadero near the Old Town harbour for locally sourced fruit, vegetables and flowers, as well as handmade craft items, jewellery and clothes (600m). At nearby Tias, the Saturday morning 9am - 2pm Farmers market is an ideal place to purchase fresh locally produced vegetables much cheaper than the supermarkets (10 minute drive 6km north-east). Also, the biggest open-air street market in Lanzarote is on Sunday mornings 9am - 2pm in Teguise (28 minute drive 21km north-east). AIRCON - available in all three bedrooms (cool and heat) - coin operated by client but very economical to use. Pool has a cover and entry steps. Cover should be kept on when the pool is not being used for long periods. 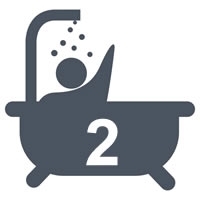 Overnight is essential as the water temperature can drop as much as 6C degrees.